Kannada had a Buddhist literary period apart from Jain literary period before the literature we have at present. Buddhist period works have not survived ,but some of the jain works have survived. Many of the Kannada Jain works were thrown into Tunga by Adi-Sankara. Some of the earlier works has been mentioned by later day scholars. All Early Kannada Writers regularly mention three great poets of Kannada. They are Samanta bhadra(met Hien Tsang), kaviparameshthi (kavisvara,kaviparameshvara), Pujyapada(Devanandi 6th century AD). The Sanskrit works of these authors have survived ,but none of Kannada works ahve survived. Kavirajamarga refers to early writers such as King Durvinita of the sixth century Bharavi's Kiratarjuniya, Sabdavarta by Durvinita(529 - 579AD) commentary on Panini Grammer. Nagarjuna, Jayabandhu belong to same period. Ravikirti, the author of the Aihole record of 636 AD. RaviKirti claims to have reached the heights of Kalidasa in fame and bharavi in poetic skill. From Indranandi's Srutavatara and Devachandra's Rajavalikathe, we learn that the author of Chudamani (Crest Jewel-5th century AD or earlier) 96000 verse commentary on Tattvarthamahasastra is Tambuluracharya. Tambuluracharya is mentioned in Chamundarayapurana(978AD). From Sravana belgola Inscription, We Learn that srivardhadeva was the crest-jewel of poets and author or great poem Chulamani and he was also praised by Dandi. Lokapala may be connected with Lokaditya son of Bankarasa (7th century AD) after whom Bankapura is named. 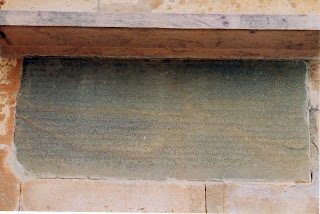 Vimala or vimalachandra is mentioned in Sravanabelagola inscription. Jain Kannada Works by SamantaBhadra(1st century AD), Pujyapada(7th century AD), Akalankha(7th century AD) have been lost. Works of Authors Asaga, Gunanandi, Nagarjuna and Vimalodaya are lost. Literary forms such as Bedande and Cattana, which are forms of Padugabba (song Verse) are no longer available and we dont know about the extent of literature lost with that. Nripatunga mentions two kinds of compositions of earlier poets Bendande and Chattana. Bendande consisting of alternate kandas and Vrittas. Chattana consists of many Kandas along with Vrittas, Akkara, Chaupadi,Gitika and Tivadi. He states that Hale Gannada is quite appropriatge in ancient poems, but inspid in works of the present time like association of old woman. Gajastaka, a work on elephant management by Ganga King Shivamara II, belonged to the eighth century. ‘Gajashtaka’ is perhaps the first written work in Kannada making use of Tripadi meter. This is also the first ‘Ashtaka’ kavya in Kannada. The reference to ‘Ovanige’ and ‘onakevADu’ in the context of ‘Gajashtaka’ makes them at least as ancient as ‘Gajashtaka’. This gives us some gleanings about the folk meters of that period. Shivamara has written ‘Gajamatha Kalpana’ in Sanskrit and ‘Sethubandha’ in Prakrit. shivarama II was a scholar in many branches of knowledge such as ethics, archery, grammar, poetry and the art of looking after horses and elephants. This fact is documented in an inscription found at Nelamangala in Bangalore district. Another inscription found in Humacha, (Panchabasti Shilashasana) tells us that the ‘Gajashtaka’ written by Shivamara, was as popular as ‘OnakevADu’ and ‘Ovanige’. Guna-gankiyam (800AD) author unknown, A Tamil Jain poet Amritasagara says in his work yapparungalakkarigai(11th century AD) that he adopted some of the characteristics of this work. Chandraprabha-purana by Sri Vijaya, a court poet of King Amoghavarsha I, is ascribed to the early ninth century. Nirpatunga mentions several kannada authors who preceded him - Vimala, Udaya, Nagarjuna, JayaBandhu and Durvinita as the best writers of kannada prose and Srivijaya, Kavisvara, Pandita , Chandra ,Lokapala as the best writers in Kannada poetry. AvantiSundarikathasara, discovered by Madras oriental manuscripts library gives a clue about the date of Durvinita. Durvanita is Ganga King , contemproary of Kubja Vishnuvardhana (Eastern Chalukya king and brother of Pulikesin) and Simhavishnu(Pallva king ). Buddhist commentators of the tenth century CE (in the commentary on Nemrinatham, a Tamil grammatical work) make references that show that Kannada literature must have flourished before fourth century AD. And Aspires Tamil Literature to make to the standards of Kannada literature. Cholapalaka Charitam, Sri Chitramale, Subhadraharanam, Prabodhachandram, Kiratam(or Kiratarjuniyam) mentioned by Keshiraja himself are now lost.